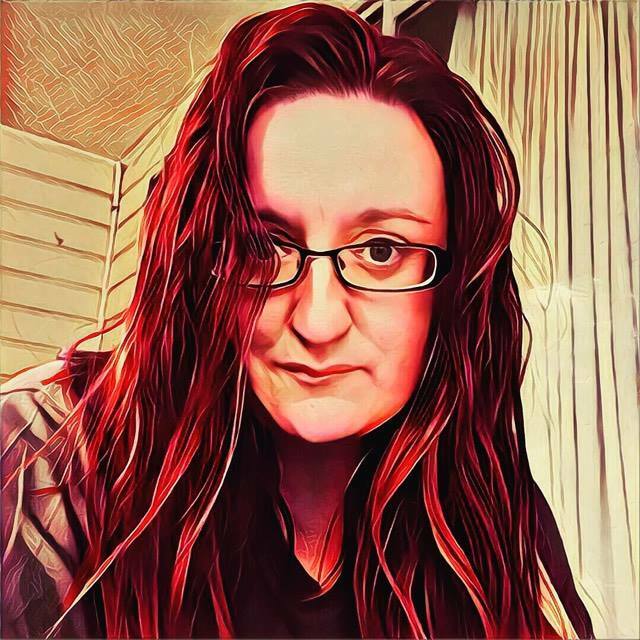 Jodi Cleghorn is an author, poet, editor and small press owner with a penchant for the dark vein of humanity. Her creative exploits can be followed via her website, Instagram, Twitter or Facebook. 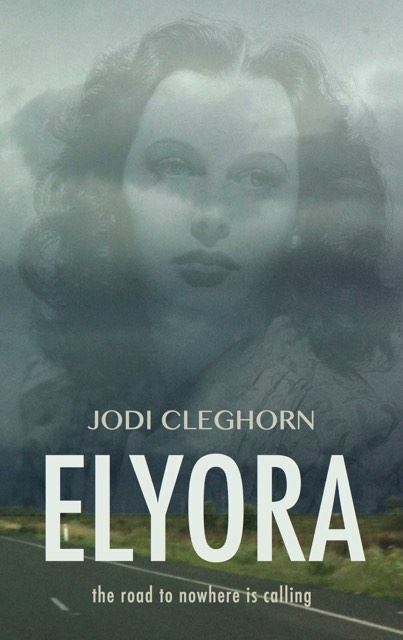 Jodi’s launched the new paperback edition of her novella Elyora on the fourteenth of February this year. I took the opportunity to ask Jodi seven questions about the long road that brought her to this point and her thoughts on small press and independent publishing. 1) You’ve described your novella Elyora as Australian gothic horror; for readers unfamiliar with my effusive review from a few years ago, can you explain what it’s about? This is where I am so glad this is a slow-paced, written interview, because even after all these years, I still don’t have a succinct answer for what Elyora is about; to go into any depth risks spoilers. I could simply say: read Dave’s most excellent review* (I almost used the line about a band on the verge of breaking through breaking up in my promo material!) but that would be kind of lazy. On the surface it’s a story about love, betrayal, bad decisions and the beds lain in (literally and metaphorically). But it’s also a story about intolerance, xenophobia and the monsters those create; twisted branching paths spawned from revenge. Elyora’s heart is Jo Belato though, a twenty-something musician who wants to escape the claustrophobia of the country through her band, FaunaBate. Instead, she finds herself trapped in the most horrific kind of ‘in country’. Heart-broken and abandoned, she has to remember who she is to find a way out of Elyora—a town caught within a circuitous repeating history. Dave originally reviewed River of Bones as part of the Australian Women Writers Challenge in 2013. I’d like to extend a special offer to anyone buying the novella with a view to include it as part of their commitment to the challenge this year. I’ll include something extra in the mail out for anyone who puts ‘AWWC’ into the buyer’s notes when purchasing via my website. 2) Please tell me it’s wicked dark humour and not pure coincidence that the launch happened on Valentine’s Day (14th of February). Oh, this was very my own brand of wickedly, dark humour and yes, it kept me suitably entertained and occupied on the day of Hallmark. But I hadn’t really planned it that way originally. I looked for the date two weeks in advance from the day I finished typesetting – and it just happened to be the 14th February. 3) Elyora’s publication history is more circuitous than the usual route to market. How would you summarise the backstory that brought you to this point? For brevity’s sake, I’m going to do a dot point timeline. June 2012 – First draft written during a QWC Rabbit Hole event inspired by Matthew Lamb’s invitation (of Review of Australian Fiction) to Rabbit Holers to submit a short story or novella length piece from the event for possible inclusion in a special edition. July – Dec 2012 – Matthew Lamb queried with a short blurb. Invited to submit. Lesley Halm, guest editor for the special edition, accepted the novella. December 23rd, after two rounds of intense edits with Lesley, (and multiple iterations between of my own edits) Elyora was born. Lesley wrote in her editorial that if Stephen King and Neil Gaiman had a love child, it would be Elyora. I was mortified at the comparison, I was definitely not good enough for that, so I only told a few very close friends about Elyora’s publication. January 2013 – Sean Wright, having reading Elyora as part of interview prep with me, insisted I resubmit the novella to a paying market. February 2013 – Contacted a friend working for a new UK digital-first publisher with details of Elyora. Six days later I signed a contract for a revised version of the novella, now named River of Bones. Two days later Elyora appeared on Aurealis Awards list in the horror category. On release, River of Bones tanked; my first royalty cheque was just $17. A growing collection of positive reviews suggested it was not the writing letting it down. As a Kindle-only release, and marketed as a dark thriller, I felt it was somewhat prevented in many ways from finding its intended audience. January 2016 – Included in Australia Day promotion by UK publisher. Made #1 in the horror charts, selling enough to land #13 on the best sellers list. Made me realise it was a story that still had traction. November 2016 – My printer offered free title set up. I decided to typeset Elyora to print a single copy as a reference for a screenplay I’d been intending to write for years. The rest is the next chapter of this wee slip of a story’s history. 4) The UK ebook publisher renamed the story “River of Bones”, which I’ve always thought of as a pretty generic horror title (though not inaccurate). How important was it to you to restore the original title for this print version? Oh, you have no idea how important. The seed of the story sprung from a dream. In the dream, Elyora was the woman central to the dream’s narrative. In my story, the town became Elyora, the woman Eleanor. Removing Elyora as the title, felt like cleaving part of the essence from the story. In Australia, we have no problems in naming our books after places. We get that place is character as much as setting in our vast landscape. I could understand where my publisher was coming from – they wanted to market it as a dark thriller. They said that Australian gothic was too narrow a market. They said the name Elyora was too parochial – an international market wouldn’t understand what it was. The title needed to sell the book. But I wish I’d stood my ground. It is my one regret. Having restored the original title, I feel am less likely to take a random detour off the New England and end up in the township of Elyora for penance. 5) Not many traditionally published books get a second chance to find an audience. Through your small press, eMergent Publishing, you’ve published the paperback edition while the ebook version is still available through the Kindle store. Do you have any advice for other authors about managing the rights to their work? Don’t give away any rights you do not have to. If your publisher wants your digital rights, ensure they have a rigorous and well-supported digital publishing arm. The same goes for paperback rights. Ensure any contract has a sunset clause so you can claim back your rights if your manuscript is not published in that medium in the specified time (two years is generally the ballpark). My contract also has a reversion clause based on sales, so when my sales drop to a certain number over two accounting periods, I am eligible to have them returned. Always get a second opinion from someone who specializes in publishing contracts, such as Alex Adsett, to ensure the contract is in your favour, not just your publisher’s. 6) Obviously if you’re willing to design and print a book yourself, you’ve found some frustrating aspects to going through a traditional publisher. Would you still try the traditional route for the right project, or has this experience shifted you more towards the self-publishing end of the spectrum? I’m always happy to consider what the best fit for a project is and pursue that rather than apply a one-size-fits-all approach. For Elyora, I didn’t want to have to compromise. I’d already done that. I also didn’t want to have to wait. I was happy to take it on. I’ve been editing, designing and publishing books since 2009. Elyora is pretty simple compared to some of the more complex anthologies I’ve done through eMergent. The big thing for me was the cover. A friend, back in 2013, photographed me, wet and dirty, as Eleanor for the cover. It was the wrong time to follow through (as fun as it was to stand wet and dirty in my friend’s studio!) It was pure accident that the cover came together the way it was. And it was the cover that compelled me to take it further than just a single copy for myself. I’ve self published two chapbooks, and now Elyora. However, my co-written novel, with Adam Byatt, is out on submission with traditional publishers. My birthpunk novellas will probably follow Piper’s Reach in seeking a traditional market placement. I guess that I am lucky that should all avenues be exhausted, self-publishing is less of an onerous undertaking than it might be for someone else. Being open to all the possibilities seems to me, to continue to be advantageous. 7) Between the tag line of this book (“The road to nowhere is calling”) and the anthology you edited a few years ago called Nothing But Flowers: Tales of Post-Apocalyptic Love, I get the sense you might be a Talking Heads fan. Me too! What’s your favourite song, album and weird David Byrne moment? Um, yeah! I have a definite soft spot for Talking Heads. The Best of was one of the very first CDs I bought (and I still have it – though I think it struggles to be played beyond track 15 now). I’d spent an entire ten-hour road trip trying to come up with an idea for a Valentines antho and it was serendipity, as much as forward planning, that landed Talking Heads’ Nothing, But Flowers there. In 2012, a bunch of us rented a house in Byron Bay and the first song that went on, as we all assembled, was Nothing, But Flowers. Thanks, Jason! Favourite song? I think it is probably ‘And she was’. Byrne said it was written about a neighbor who would meditate, at night, in the long grass surrounding a factory near where they lived. But then, well I could just as easily say it was ‘Take Me to the River’ for its brooding baseline (and it kind of fits with Elyora). Favourite album? It’s probably still my battered The Best Of! And as for Byrne – my partner, Dave, could probably answer this better as he’s the one with the not-quite-so-closet love affair with Byrne. Musically, I’ve been exposed to Byrne’s more obscure collaborations (Here Lies Love, with Fat Boy Slim about Imelda Marcos) and Brian Eno (Everything That Happens Will Happen Again and My Life in the Bush of Ghosts). But I still remember vividly where it started. Byrne on the TV in a technicolour film clip at my boyfriend’s in 1992. He was a big fan. For the life of me I have no idea what the song was. Just that Byrne was weird and crazy. It resonated, even if I hadn’t yet made contact with my weird and crazy. This entry was posted in Seven Questions and tagged adam byatt, alex adsett, aurealis awards, australian women writers challenge, Australian writers, goodreads, jodi cleghorn, lesley halm, matthew lamb, sean wright, seven questions, talking heads. Bookmark the permalink. Are there any substantive differences between Elyora and River of Bones, or is it a simple re-release? Guess I should pick it up to find out. Here’s my review from back when from a geography pedant’s perspective, fwiw. Ooh – Jodi posted a note on Facebook, which I can’t find now, which says that she revised certain parts to more accurately reflect the flora and fauna in the area where the story is set! Does that mean she changed it in response to your Goodreads review? I don’t know – you’ll have to buy a copy of find out. Very cool to read these backstories, and excited to read Elyora. Awesome job, Jodi. Welcome Alaina, and thanks for leaving a comment. Elyora is well worth the sense of anticipation – it’s a very enjoyable spooky read.